Today, I wrote to Secretary of Defense Leon Panetta, voicing concerns with the Department of Defense’s (DoD) deficient implementation of on-base voter assistance for military service members and their families, mandated by the 2009 law, the Military and Overseas Voter Empowerment Act, or MOVE Act. The letter was also signed by U.S. Sens. Kelly Ayotte, R-NH, John Barrasso, R-WY, Richard Burr, R-NC, Saxby Chambliss, R-GA, and James Inhofe, R-OK. Under the MOVE Act, through specific provisions, DoD was required to ensure that troops and their families have unfettered access to voter assistance on military bases under a program modeled after the well-known “motor voter” programs for civilian voters. The law required DoD to install voter assistance offices at all bases by 2010. Released this week, a report by DoD’s Inspector General concluded that half of U.S. military bases lack the voter assistance facilities required by the MOVE Act. With great disappointment, we have concluded that the Department of Defense (DoD) stands in clear violation of a central provision of this federal law, which mandated the creation of on-base voter assistance offices. The price of DoD’s failure to follow the law will likely be paid this November by military service members and their families, whose voting rights were to have been safeguarded by this provision. We request a timely response on what you intend to do to ensure that our military service members and their families receive the voter assistance they need in order to participate in the democratic process this November. Undertake significant efforts at all levels to promote and encourage military voter participation in the November election. The full text of the letter is below and attached. In 2009, Congress enacted the Military and Overseas Voter Empowerment Act (“MOVE Act”) to end the longstanding and shameful disenfranchisement of our military service members. The MOVE Act aimed to improve every aspect of military voting procedures and required significant reforms by both the states and the federal government. With great disappointment, we have concluded that the Department of Defense (DoD) stands in clear violation of a central provision of this federal law, which mandated the creation of on-base voter assistance offices. The price of DoD’s failure to follow the law will likely be paid this November by military service members and their families, whose voting rights were to have been safeguarded by this provision. This situation is patently unacceptable, and we ask for your personal involvement to see that it is corrected. This key provision of the MOVE Act, codified at 10 USC § 1566a, required DoD to create voter assistance offices on every military installation, wherein military service members and their families could receive voter assistance during key transition periods, such as upon arriving at a new duty station or when deploying overseas. If properly implemented, this assistance program would have afforded these military voters the same type and level of voter assistance provided to civilians at their local driver’s license branches or social service offices. This voter assistance provision was important to Senators on both sides of the aisle. For too long, DoD and its Federal Voting Assistance Program (FVAP) had failed to provide consistent and meaningful voter assistance to ensure that our men and women in uniform were able to vote. DoD’s implementation of the on-base voter assistance program has been at best a hollow exercise. 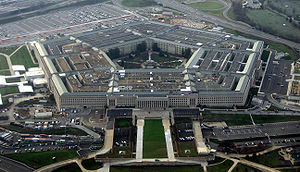 Initially, DoD completely ignored the statutory 2010 deadline for implementation. Then, when DoD eventually began to stand up some of these offices on installations, they located many of them in places that can be hard to find or else play no role in administrative in-processing or out-processing for deployment (e.g., the base library or chapel). As such, most newly assigned military service members and also deploying service members have no meaningful opportunity to receive the necessary voter assistance during these key transition periods, which was what Congress clearly intended. DoD claims that the funding necessary to implement this on-base voter assistance program has simply been unavailable. This claim is disingenuous. DoD has never asked Congress for this funding, as evidenced by DoD’s own budget requests for FVAP for the three fiscal years following enactment of the MOVE Act (FY11 through FY13). In those years, the budget request for FVAP averaged more than $30 million per year, including over $46 million for FY11, though none of that funding was intended for the on-base voter assistance program. It is sometimes said that the budget is policy and, here, it appears that DoD’s policy was to disregard the clear will of Congress. There is no excuse for DoD ignoring the clear intent of Congress that these voter assistance offices be established and operated on every military installation. The MOVE Act was not optional, and neither is our moral duty to protect the civil rights of our men and women in uniform and their families. They make tremendous sacrifices in the defense of our nation, but those sacrifices do not and should not include their right to vote. The time to act is now. DoD must take immediate action to ensure our military service members and their families have an opportunity to vote in the November election. At the very least, DoD needs to provide every military voter with a Federal Post Card Application (FPCA) and the necessary assistance to complete that form, which can be used to register to vote, update an existing registration, and request an absentee ballot. DoD should also keep track, consistent with the 1993 National Voter Registration Act, of the number of FPCAs that were processed and sent to local election jurisdictions, as well as the number of military voters who were offered assistance but declined it. Finally, DoD must undertake significant efforts at all levels to promote and encourage military voter participation in the November election. We request a timely response on what you intend to do to ensure that our military service members and their families receive the voter assistance they need in order to participate in the democratic process this November. Thank you for your service to our nation.